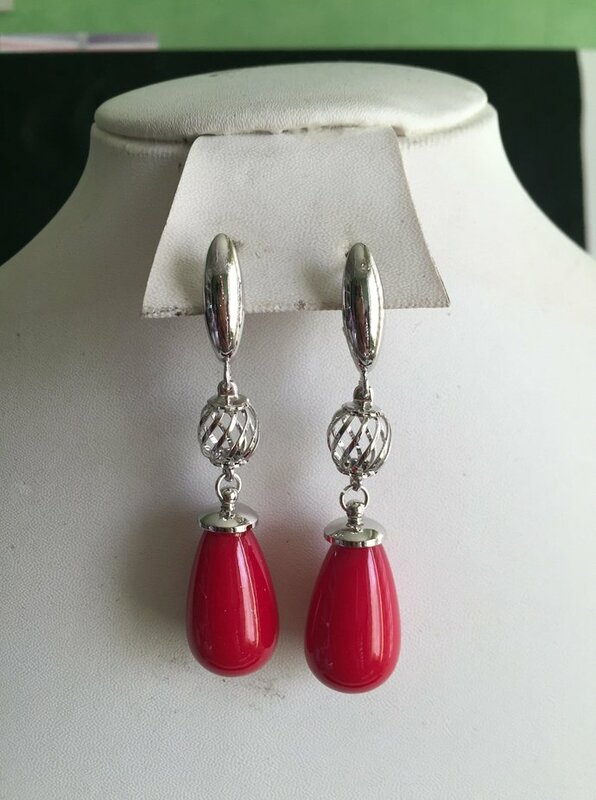 A pair of beautiful long dangle earrings with a large red teardrop as the dangle. The earrings are Aztec/Athens gold (not real gold) and the clip is a French lever. They are 2 inches in length and very lightweight.